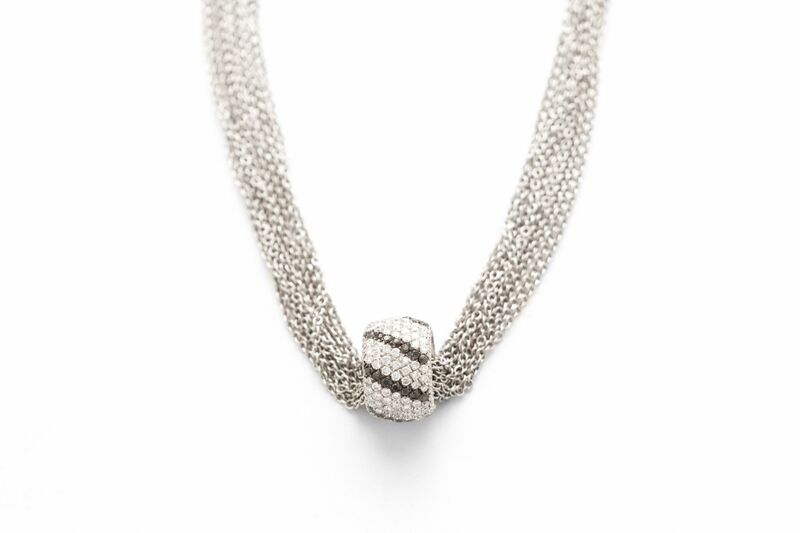 This Ace Collections Black Diamond Necklace was designed and crafted in the ateliers of Ace Jewelers. The black and white diamonds total over 3.47 carats. 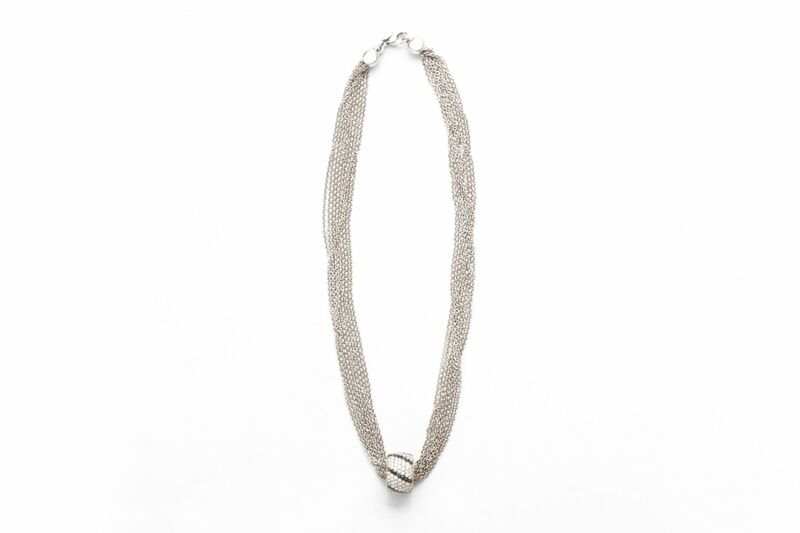 The playful design is completely set with diamonds, and hangs from a multi-strand white gold necklace.